I love fried plantains like whoa, but between getting bacon, eggs, and some sort of green veg going in the morning, I can’t have everything ready and to temp at the same time, which makes me sad. 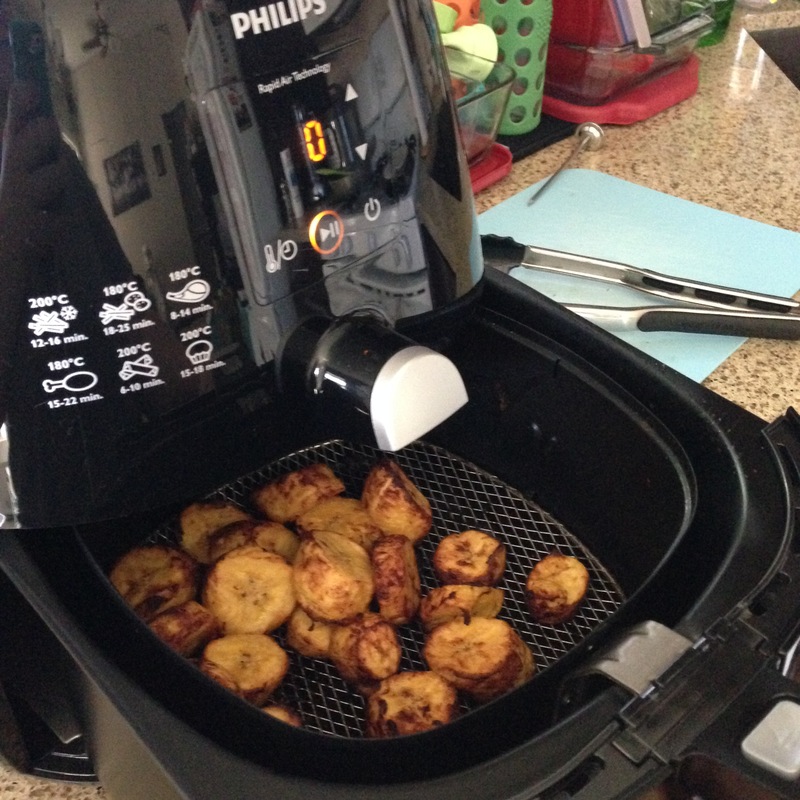 Enter the Philips AirFryer — my new breakfast-time saviour. Thanks to the proprietary Rapid Air technology, you can healthily fry all the noms with crisp and even results in just minutes. Holler! Use whatever cooking fat you like — I used some of my home rendered lard (ohmygoshyes) for these ones, but bacon grease would be heavenly also. If you feel like lining the basket with parchment for easier cleanup you can, but it’s not necessary since the non-stick coating makes cleanups quick and easy. Just pop it in the dishwasher when you’re done. You can preheat or not, up to you. I don’t like wasting time like that unless a recipe calls for it, and I didn’t for these, so don’t sweat it if you forget. It really does cook so fast — trust. 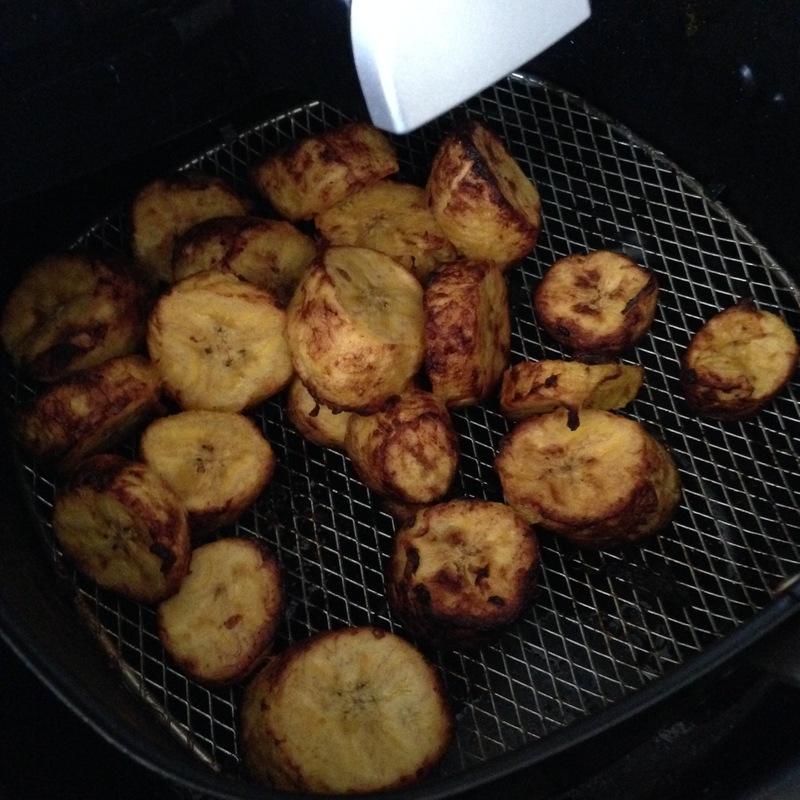 Peel and slice plantains into rounds. Toss with cooking fat of choice and add to the cooking basket. Cook at 180 for 10 minutes, tossing halfway. Try not to eat them all! Note: I did not receive compensation for this post but I did receive the Philips AirFryer in order to review and create content. All opinions are my own.